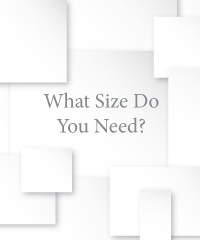 You need Pop Up Displays but what size? 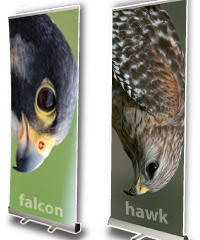 When we refer to the size of a Pop Up Display, we are referring to the visible graphic area. 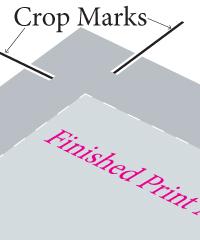 This is the printed area for displaying your design. Also it’s important to mention there is 100mm of bleed to the base of the display. Please ensure when designing your artwork you make the panel size including this bleed area. 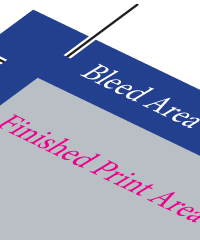 When setting up the artwork for your printed Pop Up Display you need to add ‘bleed’ to all four edges of the sheet. We recommend 4mm of bleed added to the top, right and left edges and of course please ensure you allow for the 100mm bleed to the bottom. Fancy Something Different? We have detailed the most popular sizes. Please contact us if you can’t see what you’re looking for and we will happily advise you of the available options. Let’s make your display really eye catching.